Whilst I was never sporty as I kid I was always pretty active. Back when I was a kid the school holidays would often involve us kids jumping on our bikes and disappearing for day, or going up and down the street on our skateboards. I also remember I would often take our dogs for a walk, either on my own or with my dad or brother. It is easy to reminisce on a childhood with the freedom to explore the great outdoors, but for some reason the world has changed. I am not sure the world really is that much more dangerous for kids than it was 30 years ago, but for whatever reason much of the freedom I enjoyed as a kid seems to be gone for today’s children. 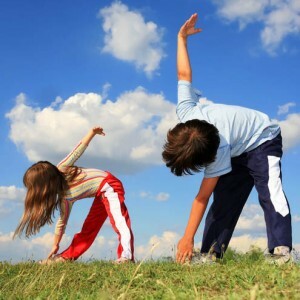 Now a new study suggests that half of all UK seven-year-olds do not do enough exercise (we didn’t call it exercise when I was a kid), with girls far less active than boys. Prof Carol Dezateux, one of the lead authors, said: “There is a big yawning gap between girls and boys. We need to really think about how we are reaching out to girls.